The Balsahan Festival coincides with the foundation day of the Municipality of Sibunag every February 20. Sibunag is one of the two youngest municipalities of the island-province of Guimaras. Established in 1995, it was named after its main river, the town&apos;s main geographical feature that makes its way through most of the barangays. Legend says that a son of a deity and a mortal was stolen when he was only a baby. He was named Sibunag, and was raised and cared for by a fairy. His amazing quests and romance stories have been one with the waters ever since. The Balsahan Festival is the town’s way of immortalizing the mystical river. "Balsa" refers to the bamboo water raft. 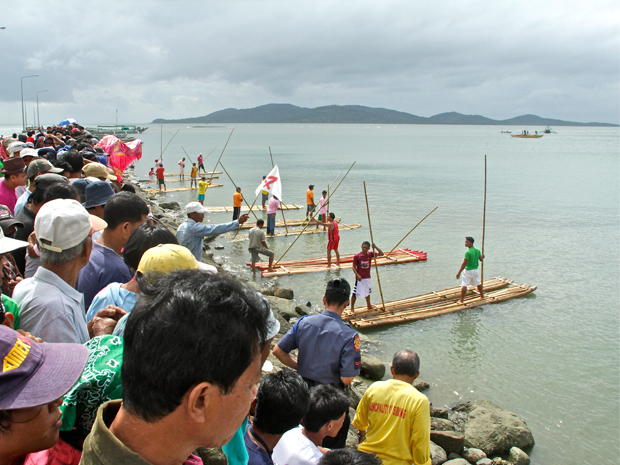 The people of Sibunag and all over Guimaras celebrate the festival with fun activities such as balsa racing, a motorized banca race, and a paraw regatta.